The autocoaches almost at Withy Jct. Sam's Cider van was taken off at Durscombe and the 14XX coupled up between the coaches so views along the track could be seen by more people. Having stopped at Durscombe for a guided tour around Sam's Cider there were rumors that there were four sets of rails but there was no consensus of opinion as there was difficulty counting more than one. At Withy Jct. The train is empty as the members of CLPG have gone to make more room for more beverages at the local hostelry as they feel a little thirsty. 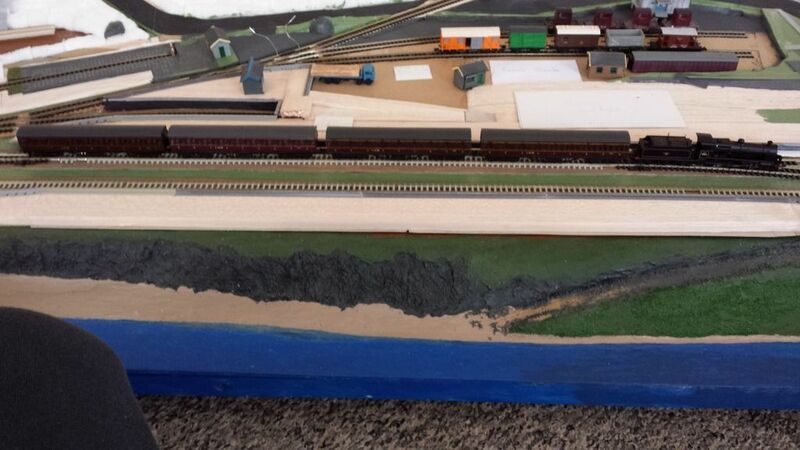 Durscombe Sidings has a depository and warehouse for the local businesses and is an interchange point. Many thanks for the nice photos., Brian. Good to see that the Cornish Locomotive Preservation Group (CLPG) and GWS Cornwall members safely arrived in their autocoaches and have enjoyed their visit to "Sam's Cider" sales of which are steadily increasing so the CLPG has won a contract to source, overhaul, and repaint some surplus Single Vent Vans in the "Sam's Cider" green. 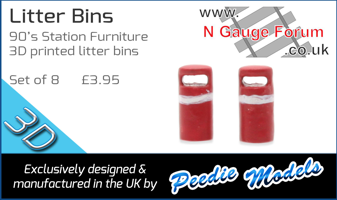 The Wadebridge yardmaster has been making enquiries across British Railways to source the vans and have them sent to Cant Cove. Many of the vans will be travelling through the WR's Birmingham Area along with some other rolling stock sourced for Withy Junction and Durscombe plus horseboxes. I had some Woodlands Scenics Sculptamold left over from a project 20 years ago! It had lost its glue so I added some cellulose filler and wood glue. It appears to have set well. It's painted in watercolours and is an experiment for close-up photos. It needs some undergrowth added but I'm quite pleased with the result. An overall view of phase two, now in colour. It was painted in acrylics bought from the local Chinese shop. Not good quality but sufficient for this.The tunnel mouth is yet to be painted then it can be incorporated. 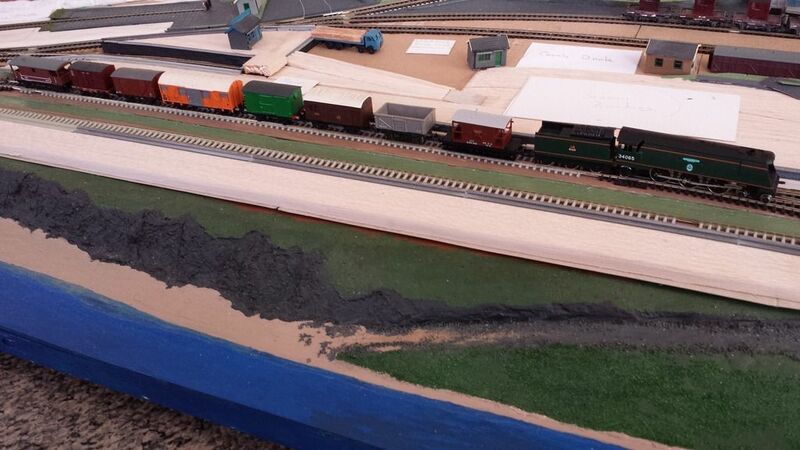 The front embankment needs finishing and the bottom right hand corner is waiting a rock face. Looking very good, Brian. A very nice use of colours in a highly realistic way. Something I plan to do, next summer! Very nice scenic work there Brian and as Chris says, great colours. I bought a kit from Serious Play. They do a monthly kit of various scenic material and this included some trees and static grass which I've never used before. I have made my own applicator from an electronic fly swat so I'm waiting for an opportunity to use it. I could do with some Wookey trees. It's all starting to look the part. I rather like that railcar in choc/cream livery. Mine is green. 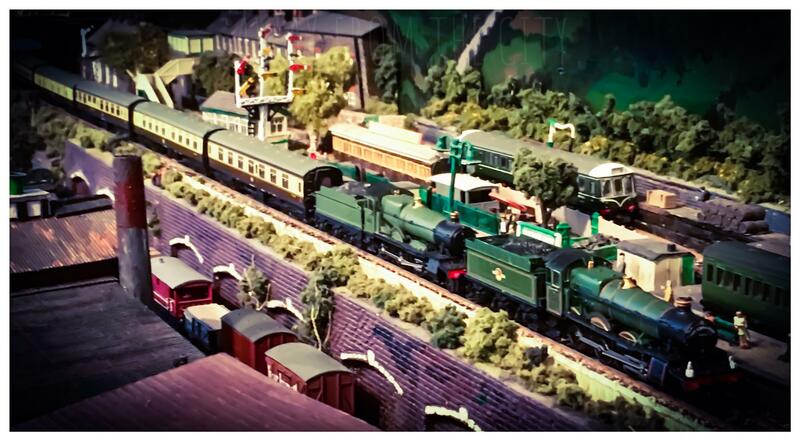 A BR SR 'N' Class 2-6-0 takes a train of four restored LMSR Livery Suburban coaches on the first stage of their journey to Withy Junction, Somerset. 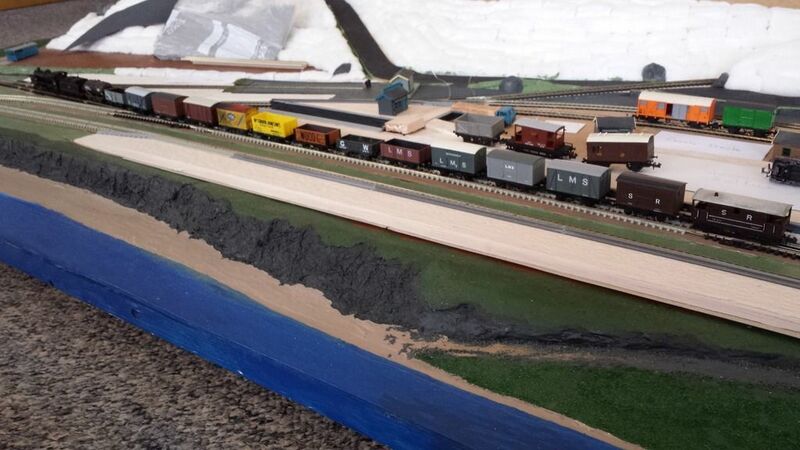 A long goods train for Withy Junction arrives at Cant Cove, behind another 'N'. A second goods train begins its journey to Somerset behind the CLPG's restored "Battle of Britain" class loco. "Huuricane". It is hoped that, in due course, there will be a photo. of their arrival. A further special goods train is scheduled for next month plus a visit by the N. & W. Cornwall members of the CLPG and GWS in their preserved GWR Livery B Set with an old Mainline Brake end coach in BR Crimson & Cream borrowed from Wadebridge Yard's standby stock. 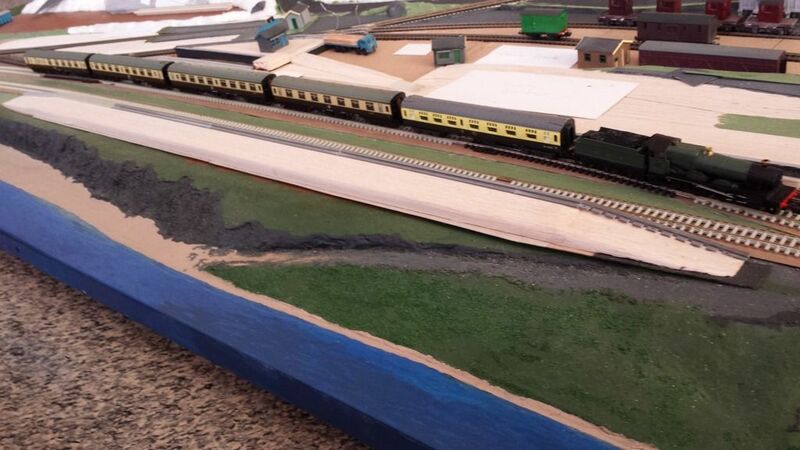 The Wadebridge yardmaster has been informed that all four trains to Withy Junction, Somerset have arrived safely, two goods, one ECS (LMS livery Suburban coaches) and one special passenger train. The GWS (Bodmin)'s "Manor" departs from Cant Cove with the special through passenger train to Withy Junction conveying members of the CLPG and GWS in Cornwall together with local dignitaries to celebrate the joining of Somerset to the program of seasonal special trains and events first organised in in Cornwall. (Not all the carriages were actually in use as this is, mainly, an ECS move. The train of WR Chocolate & Cream BR Standard coaches is formed of a CK, FK (the 1st class accommodation containing the local 'bigwigs'), SK, SO, and BSK (these containing the CLPG and GWS members with the SO laid out for dining with food and drinks supplied from the guard's compartment, whilst the local worthies have to 'make do' with premium picnic hampers supplied by "The Station Hotel", Cant Cove). Page created in 0.322 seconds with 40 queries.